So I have been craving Italian Beef for a few months now. It's quite possibly one of my favorite meals. We just received our meat shipment for the year and I now have roasts to work with. (Those are usually the first thing I run out of.) Making the pretzel rolls was a fun little baking project that came from me forgetting to get hoagie rolls at the store this weekend and we were too lazy to run back to just get bread. So here we go with the recipes for all of you who asked. The chicken soup has become a staple recipe in this house. It is one of my go to's when I can't come up with anything else. My kids love this and its easy for the little ones to pick up as they are learning to feed themselves. It's done in about 30-45 minutes depending on the noodles used. I have used this recipe to make a tortellini soup, using a 9 oz package of tortellini in place of the noodles. I also have used a variety of different noodles ranging from elbow and spiral to thin and wide egg noodles. Its your choice. I put in there what ever I have on hand at the time and change the simmer time accordingly. It is also wonderful leftover and easily frozen for later use. 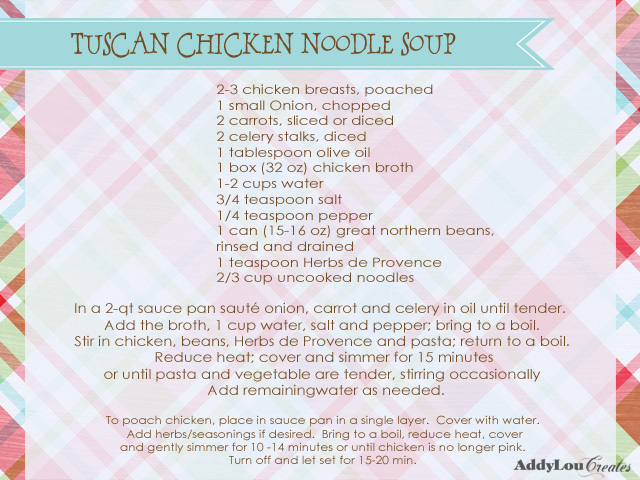 **This recipe is a modified version of the Tuscan Bean Soup found in the Taste of Home Cookbook. You can't have soup with out some sort of biscuit or bread. This one I have been making since college, and my roommates loved them! They are supper easy to make and there is limit mess because they are "dropped" on the pan instead of rolling out. Normally I just put them on a pan so they look like traditional biscuits, but I tried doing them in a muffin tin the other day....and I LOVED how they came out. I think it gave them a little more structure and didn't seem as crumbly. Either way they are delicious! 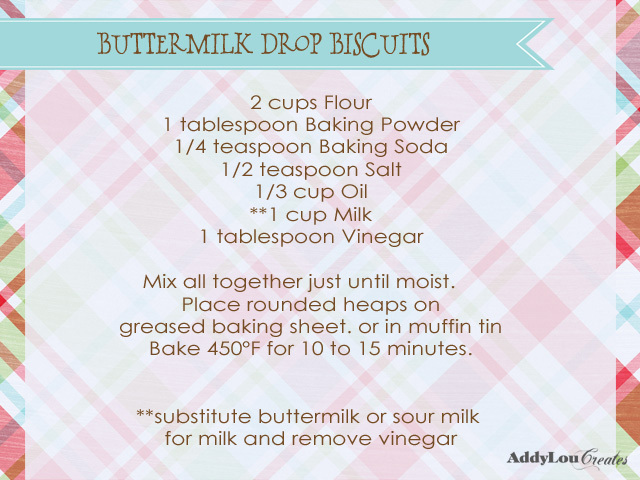 **This is a modified version of the Baking Powder Biscuits out of the Better Homes and Garden Cookbook. I hope you love these recipes as much as we do here. And I hope that everyone is surviving this weird winter and staying healthy.